Akron Children’s Anywhere is your new go-to app for managing your children’s health. 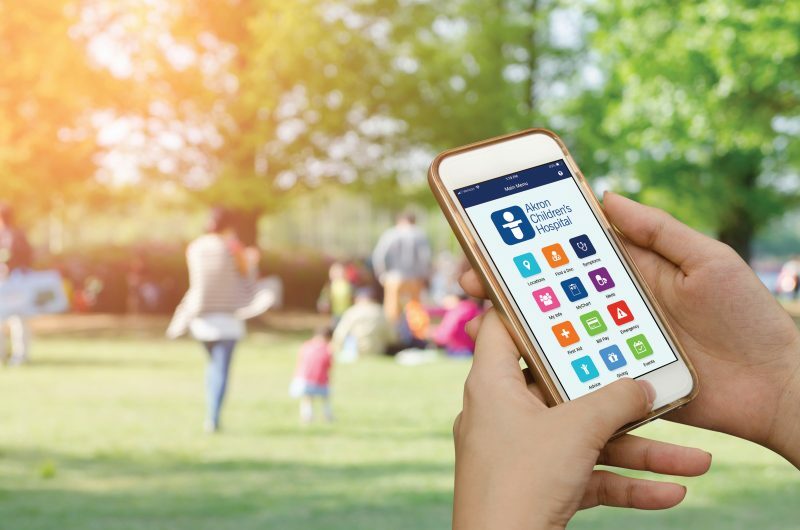 In an effort to continually add services to assist families in managing their children’s health, Akron Children’s Hospital has launched a mobile application that puts its new and existing services into one convenient location. Now, managing your children’s health has never been easier. Akron Children’s Anywhere, which is available for both Android and Apple devices, is free and puts a variety of health-care tools in the palm of your hand. In addition, this new app gives users quick, secure access to MyChart and all its features, including messaging your doctor, requesting prescription renewals, direct scheduling and obtaining test results. Users also can access Bill Pay directly from the app. What’s more, in the near future this app will feature another avenue for families to access health care by incorporating telehealth virtual visits with Akron Children’s clinicians.